Walmart has the Poopsie Pooey Puitton Slime Surprise Slime Kit on sale for $39.97 (regularly $69.99). 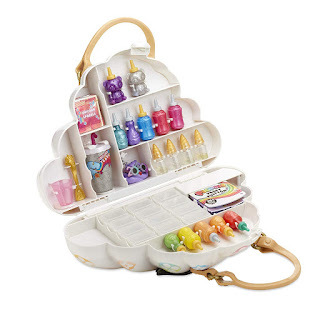 Poopsie slime surprise pooey puitton purse is the ultimate unicorn poop kit! magically make scented, unicorn poop slime in a rainbow of colors! with a little unicorn magic, sparkle, and crunch, you can customize your unicorn poop again and again!